As predicted in August, Apple is planning to hold a media event on Wednesday, September 9 at the Bill Graham Civic Auditorium in San Francisco, California. 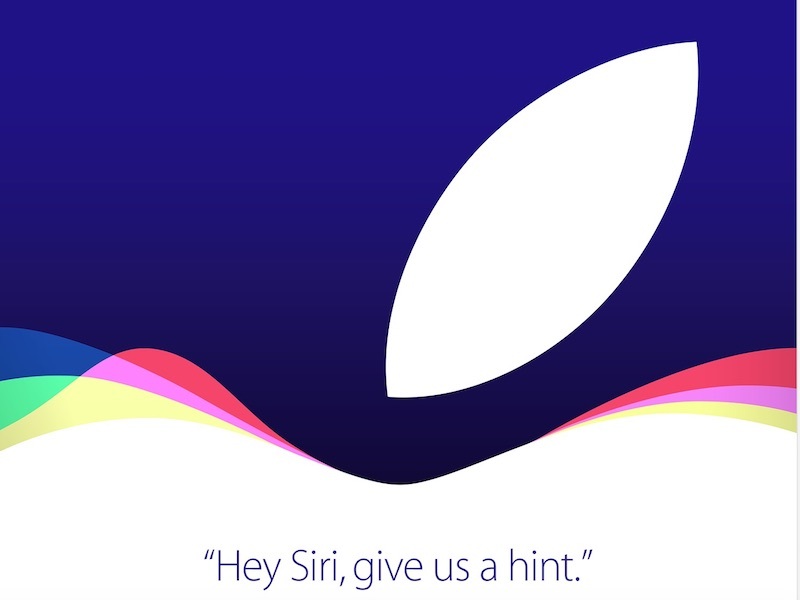 Media invites were sent out today, with Yahoo's Alyssa Bereznak sharing the first look at the artwork and tagline for the invitations: "Hey Siri, give us a hint." This year's iPhone-centric event is expected to see the debut of the next-generation iPhone 6s and iPhone 6s Plus, which, according to rumors, will include a reinforced body constructed from stronger 7000 Series aluminum, Force Touch, an A9 processor, 2GB RAM, and an improved camera. We'll also get an update on the launch dates of iOS 9 and watchOS 2, and shortly after the event ends, we may see golden master software releases for the two software updates ahead of their final public launch. In line with past events, the September 9 iPhone unveiling will begin at 10:00 a.m. Pacific Time. Apple has not yet confirmed whether the event will be live streamed on its website and through the Apple TV, but it is likely details on a live stream will be announced a few days ahead of the event. 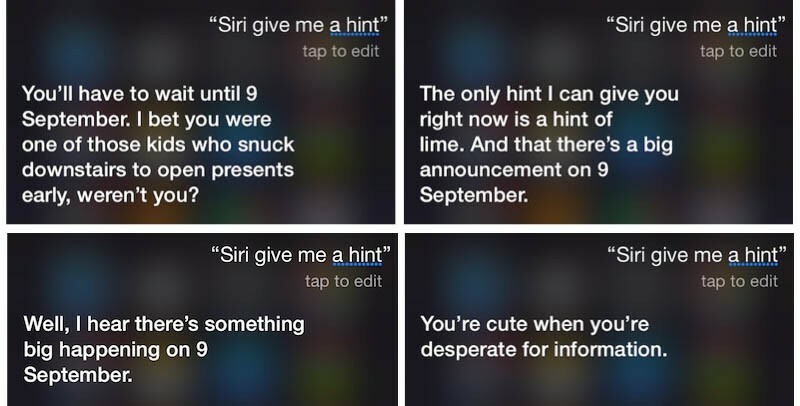 Update: Siri itself is also getting in on the festivities with some witty responses. Update 2: Apple will be live streaming the media event on the web for Mac, iPhone, iPad, Apple TV and PC users. Hint: "I'm still not very useful"
The invitation is force touch. The hint is the colors represent the old tv bar colors. Apple is SO trolling us with this... WELL PLAYED! "Hey Siri, give us a hint"
"H-e-y" has three letters in it, also is an anagram of "Yeh" which is slang for yes. "Siri" was what apple introduced in the iPhone 4S, in 2011. "2011" was four years ago, and has four numbers in it. This has five letters in it, indicating something more than the 2011 phone. "G-i-v-e" is an anagram of G Ive. "J" represents Jony, Jony Ive. So "Yes" "Shut Up". Does this not sound a bit fishy? Rumour has it that the 2011 phone WILL NOT be as good as the 2015 version, who'd have thought? Siri is telling us to shut up. Watch Age of Ultron if you don't believe me! There you are, deciphered. Flawlessly. This is obviously it, IT'S HAPPENING IF YOU READ IT ON THE INTERNET IT MUST BE TRUE. Siri asked me to go back here.